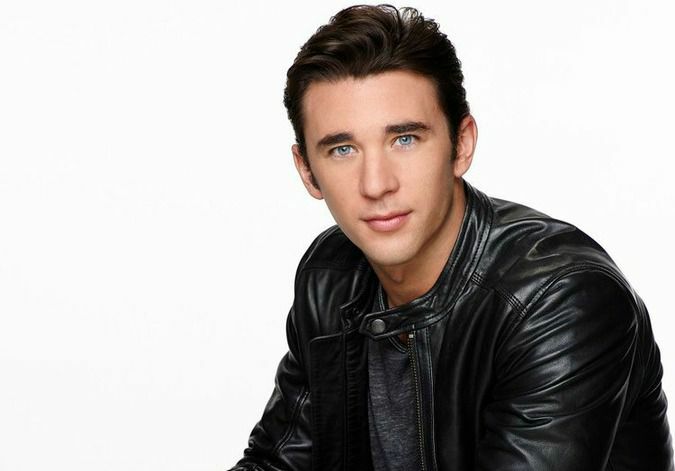 Actor Billy Flynn plays Chad DiMera on "Days of Our Lives." He took over the role as Stefano DiMera's youngest son from Casey Deidrick in 2014 and has enjoyed success as a regular on the popular soap. Central to Chad's story is his relationship with Abigail Deveraux. He is the tall, blue-eyed man whom she can't get out of her head or heart. Yet Flynn didn't think he'd land the role. There are a few more surprising facts "Chabby" fans may not know about this young, talented actor. Billy Flynn stands 6 feet tall. He has blue eyes and brown hair. He was born on May 29, 1985, and shares his birthday with basketball player Carmello Anthony and the late President John F. Kennedy. His love of acting began as a child. "My great-grandmother and I would play dress up," recounts Flynn. "I'd dress as Batman. We'd watch 'The Sound of Music' together, and I'd re-act all the scenes." Flynn made his acting debut as the Gingerbread Man in an elementary school play, but stage fright got the best of him. He spent the entire production in his great-grandmother's lap. As he got older, Flynn admits there was another deterrent to pursuing his dream career. "I was terrified of public speaking," he says. He decided to focus on sports as a teenager. Flynn was an all-star athlete in high school, where he excelled at hockey and football. When it comes to film actors he admires, Flynn cites Tom Hardy and Michael Fassbender in "Band of Brothers." He's also a big fan of legendary actors Jack Nicholson, Paul Newman, Marlon Brando, and James Dean. Flynn says the hardest part of his soap gig has been mastering the daily dialogue. Namely, "trying to learn 20 to 30 pages of lines every single night and training my brain to take in that much information," he notes. 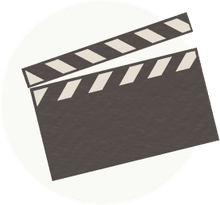 Before "Days," Flynn and co-star Christopher Sean (Paul) were both in the same acting workshop, Anthony Meindl's Master Class. Flynn and Sean also had another pre-soap connection. The duo both guest-starred on the primetime hit "Hawaii Five-0." Flynn had a crush on a "Days" co-star when he got the job. It was Alison Sweeney (formerly Sami), whom he'd watched as hostess of "The Biggest Loser." Flynn, who received a finance degree from St. Cloud State University in Minnesota and has worked as a financial analyst, is definitely a saver. "I don't really spend that much," he notes. "I've paid off my student loans and got rid of any debt I had from three years of not working as an actor." He's not into flashy cars, either. "I drive the same Jeep Grand Cherokee that I drove [to Los Angeles] in five years ago," says Flynn. Flynn once lived on a boat in Marina del Rey. Flynn asked Comparetto to marry him on May 29, 2015 (his birthday), and she accepted. The happy couple are proud parents of two cats: Regan and Bill Purray. Kitty #2 was named after actor Bill Murray. While Chad is a suit-and-tie guy, Flynn is not. "I'm pretty simple with clothes. I'm pretty much jeans, T-shirts, and a pair of old-school leather boots," he says. Flynn has found a way to implement his personal style into Chad via his socks. After Flynn brought in a pair of his own argyles, costume designer Richard Bloore purchased a new collection for him. "I've got all different patterns from checks to stripes to rainbows," shares Flynn. "It gives me a little more attitude as a character." Flynn shares his passion for wearing "funky socks" with co-star Lauren Koslow (Kate). "Lauren always compliments me on my socks," notes Flynn. He's received some memorable gifts from fans. "Somebody sent me a tequila beer pong game," recounts Flynn. "It's this little table-sized board game that is pretty cool." Flynn adores working with his TV dad, Joseph Mascolo (Stefano). "I love Joe. If it wasn't for him creating such a legendary character, I wouldn't have a job today," acknowledges Flynn, noting that "there's pressure" to carry on the DiMera name. "I also wonder what people are going to think every time Chad back talks Stefano, but they are actually liking it." The fans' strong reaction to the Chad and Abigail love story has, at times, overwhelmed Flynn. "We've always gotten gifts from the 'Chabby' fans," he says. "The other day they sent us this cake. It looked like a newspaper and had all these reviews of Kate Mansi and Billy Flynn's chemistry. It said it was 'outstanding' and that 'you can't teach that kind of chemistry.' That was pretty special." Since he started playing Chad, he and the character have meshed. "When I first started, I wasn't like Chad at all," explains Flynn. "He was a prick, and I'm very casual and low key in my real life. Now, I'm playing him with a lot more of my heart and vulnerability, which is why I think people are starting to relate to the character more."